In Pokémon Go, there are various processes and challenges, which are rewarded with experience points. Among other things, you have to catch the pocket monsters, hatch eggs, fight in Gym, unsubscribe or increase the level of development of Pokémon. The following table shows you for what actions you will be rewarded. Then we give you more information on how you can farm XP to level up your trainer. So you can level up your Pokémon Go Trainer, you must quickly earn a lot of XP. Because you don’t always find many and great Pokéballs and get going. Especially at the beginning of Pokémon Go, you will get a lot of EP for trapping pocket monsters, because they end up there for the first time in your backpack. Use this way to farm experience points and level your trainer. The advantage of a strong trailer is that you take with this stronger pocket monster and be rewarded with each Level with different Poké Balls. Make your way but also regularly in a gym where you can compete against the enemy or against befriended Pokémon. The weaker the opponent, the easier it is to get fast XP. So you know the weaknesses and strengths of Pokémon, it will certainly be much easier to farm experience points. The following list outlines you more tips on how to get XP quickly and level up to the trainer. - Candy: Collect many sweets as you reach with their help, the higher stages of Pokémon. For this you will receive not only XP for the development, but also a bonus for a new pocket monsters. - Hatching Egg: You put them in an incubator and run a few steps until a new Pokémon is available. Here you get again double XP: For hatching and for the new pocket monsters. 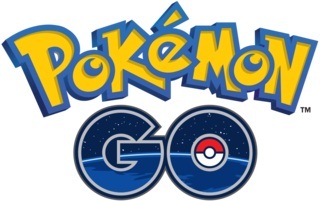 - PokéStops: Visit the drawn PokéStops, because there you will reward with items and XP.